Since 2001, Green Ivy Educational Consulting has improved the academic and personal self-confidence of countless students throughout the United States and abroad. Our main office is located in the San Francisco Bay Area, and we also work with students and families via phone and Skype. 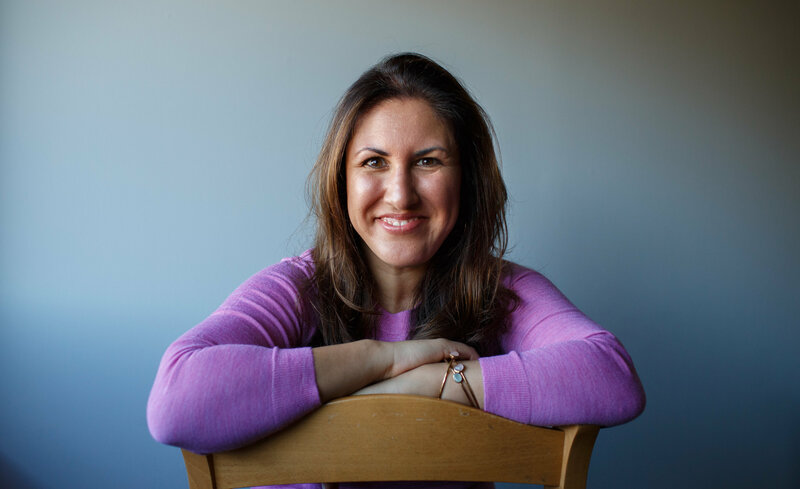 Ana Homayoun is the founder of Green Ivy Educational Consulting, which provides global consulting services to schools, parents, and students. She is the author of That Crumpled Paper Was Due Last Week: Helping Disorganized and Distracted Boys Succeed in School and Life (Perigee 2010), The Myth of the Perfect Girl: Helping Our Daughters Find Authentic Success and Happiness in School and Life (Perigee 2013), and Social Media Wellness: Helping Tweens and Teens Thrive in an Unbalanced Digital World (Corwin 2017). She speaks at schools around the world on topics relating to organization, time management, social media, personal purpose, and overall wellness. Her work has been featured in The New York Times, Chicago Tribune, San Francisco Chronicle, NY Post, among others, and she is a frequent guest on NPR. She is a graduate of Duke University, where she serves on the Duke Alumni Association Executive Board of Directors, and also holds a Masters in Counseling Psychology and a Pupil Personnel Services Credential. Catie is a graduate of Whitman College in wonderful Walla Walla, WA, and holds a B.A. in Mathematics-Physics. As an undergraduate, she engaged with the Walla Walla community by participating in Science Nights at elementary schools and teaching civil rights lessons in high schools with Whitman Teaches the Movement. In her free time, she loves playing and coaching soccer, enjoying the great outdoors, and practicing her photography skills. Dharanitha has a B.A. in Mathematics from Georgian Court University. After graduation, she pursued Applied Biomedical Engineering at Johns Hopkins University while tutoring students in math, science, writing, and Spanish. In her spare time, she enjoys playing piano, reading, and writing Sherlock Holmes pastiches. Olivia is a graduate of Stanford University, where she spent considerable time tutoring at East Palo Alto Tennis and Tutoring, working at a local free clinic and volunteering as an EMT. Olivia works with students on upper level math, science, history and writing, as well as test preparation and general organization. Outside of work, Olivia likes reading and writing poetry, listening to musical theater soundtracks, and drinking lots of coffee. Yan Yan graduated from the School of Engineering at Stanford University and is current a graduate candidate in Sustainability Science & Practice, with a focus on food insecurity and childhood health. As an undergraduate, Yan worked with Ecuadorean beet farmers through Design for Extreme Affordability, held a public installation of bicultural narratives through food and storytelling on campus, studied abroad in Paris, performed with the Asian American Theater Project, hosted cooking workshops and pop-up restaurants, and mentored incoming Stanford freshmen with the Leland Scholars Program. Ricardo is a graduate of Stanford University with a B.S. in Biology and Minor in Creative Writing. While at Stanford, he conducted research in the Anatomy Lab and served as a Teaching Assistant for several classes in the Biology department. In his free time, he loves dancing bachata, playing guitar, and going on food adventures in San Francisco. Emily joined the Green Ivy staff as our office manager in the fall of 2017. She is a graduate of the University of Minnesota, and has worked in the educational sector in various project and event management roles for many years. In her spare time, she enjoys being outdoors and spending time with her husband and son. Sallie often accompanies Ana to our offices, and is Green Ivy’s unofficial mascot! She is known for sitting on laps and scouring the floors for treats. She brings a great energy to our workplace, and is beloved by students and staff alike.